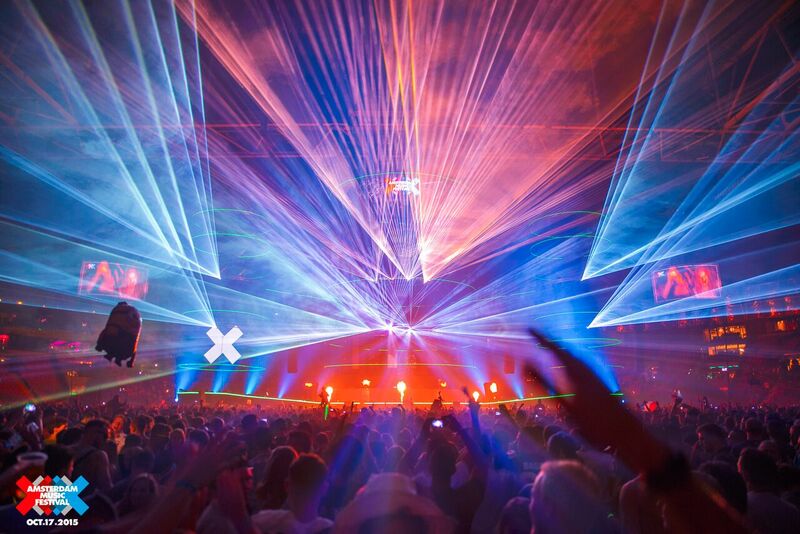 Amsterdam Music Festival (AMF) closed out this weekend with an all-star lineup, new headlines and a new crowned No. 1 DJ in the World. And I was able to experience it on the ground. Having attended most major US music festivals, I was very excited to be a part of my first European one on the other side of the pond. What would be different? How would this compare to experiences at Coachella, TomrorrowWorld or EDC? 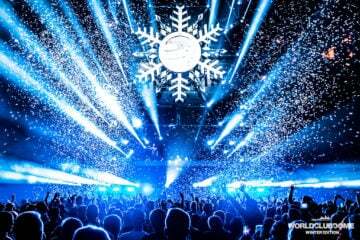 First, AMF is held indoors at the Amsterdam ArenA, which I was extremely grateful for given the frigid temperatures. Instead of sprawling grounds and multiple stages, AMF does not boast a VIP section, larger-than-life art installations or carnival games. There was only one ‘main stage’ commanding all the attention – and it did so easily. The DJ decks were flanked by three massive towers producing a jaw-dropping orchestra of lights, lasers and sound that could make Ultra give a run for its money. In the crowd, there were very few orbiters and glovers, and attendees seemed content in jeans and t-shirts rather than elaborate costumes. Sans production or crowd distractions, AMF was clearly about one simple mission: enjoy the music, dance, and have a good time. By way of background, Amsterdam Music Festival is a two-day event that closes Amsterdam Dance Event. You probably know it as the festival that announces the DJ Mag Top 100 results, and the lineup typically boasts DJs claiming the top spots. The schedule is not promoted beforehand, as it’s tied to the poll results. And speaking of poll results – let’s address the proverbial elephant in the room. 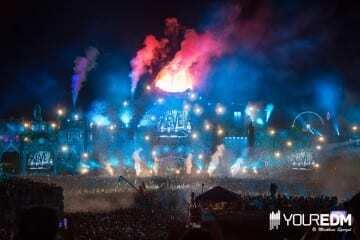 Dimitri Vegas & Like Mike were announced as the No. 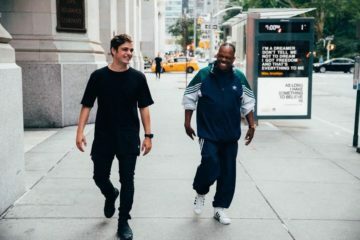 1 DJ in the world, making it the first time a duo has won the title. There’s been plenty of (due) criticism, ranting, and murmurs of contest rigging. Instead of focusing on the No. 1 spot, which we either disregard or disagree with, there are plenty other gains to recognize. The top five spots are still the household names we know and love – Hardwell, Martin Garrix, Armin van Buuren and Tiësto (all Dutch, may I point out…). But recognition goes beyond the top 5: Oliver Heldens came up 22 spots to #12, Don Diablo gained 52 spots to #30. 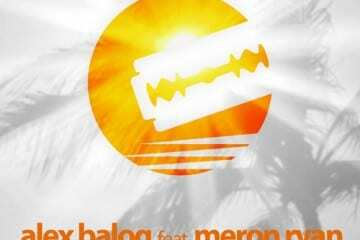 Kygo, who wasn’t even in the polls last year, created a new sound and made it to #33. It’s a shame the No. 1 results are what they were, because there are still so many good things about the EDM scene than a rigged popularity contest. Around the world, preferences have shifted from mainstream to underground. There’s so much pressure to appreciate techno and deep house – to not be seen at the main stage, to not admit that you still like Tiësto – that we forget EDM is fun. Entering the ArenA, I got the same rush of excitement I did when I attended some of my first music festivals. It’s like watching your favorite Disney movie – sure, you may have grown up and your genre preferences matured, but you’ll still know all the lines and sing along because it’s something you did love and enjoy at one point. 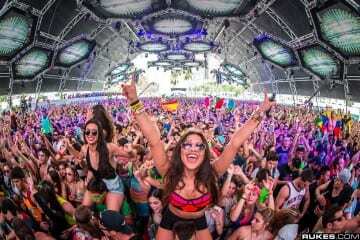 We forget that the EDM-dubbed community is one of the friendliest, open and accepting without pretenses. Having been on the other side of the GA boundaries, it’s refreshing to attend a festival and have fun in the crowd simply for the sake of dancing, rather than forced conversation about who you work for or who you know. To me, Amsterdam Music Festival should be recognized for more than the announcers of the DJ Mag Poll, and the artists in the DJ Mag Top 100 should be recognized beyond the No.1 spot. 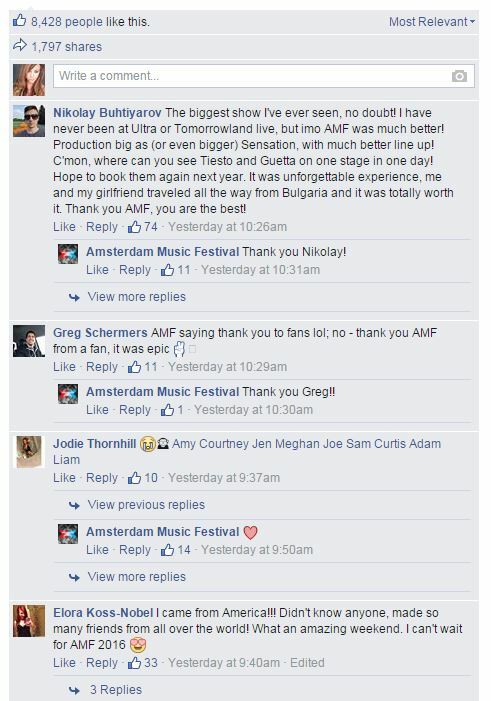 AMF brings thousands of fans from all over the world together to celebrate the accomplishments of some of the biggest names in dance music, centered on the biggest conference in dance music. 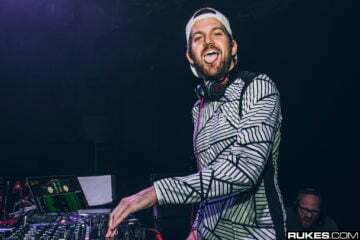 All week at ADE, artists are debuting new music at exclusive industry events, and AMF is perhaps the first time fans are hearing new sounds. 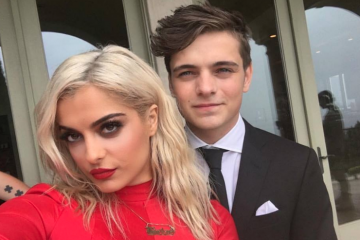 Artists such as Martin Garrix really look forward to playing at events like AMF for this reason: case in point, he debuted his new album during the festival. Let’s also not forget that EDM is still a major market, and AMF’s stats demonstrated this. The festival started just in 2013 and has sold out each year since. This year, 70,000 visitors from over 100 countries attended AMF, and for those who couldn’t attend in person, they tuned in on the livestream, which garnered more than 1 million views from over 179 countries. I went abroad thinking the festival would be different, and looking back it seems a bit foolish. The country code may change, people may choose to express themselves by their country flag instead of what they wear, but fundamentally, people still love to dance to great music. Music does have a certain universality, and in the least, it’s good to know that wherever you are in the world, you’ll find a place where people are excited to come together to dance, have a great time, and celebrate the music of our generation. New York-based music blogger guest contributing to YourEDM for all things ADE and AMF, live from Amsterdam! Have questions for your favorite artists? Tweet at me @ChelseaRae_B and, and follow me on Snapchat (@CRae422) and Instagram for behind the scenes moments of the biggest week for dance music.